Welcome Dear Readers to this week’s edition of Gregory’s Bible Stories. Today Gregory learned about how it came about that Eve served Adam the fruit from The Tree of Knowledge of Good and Evil. And that concludes Gregory’s bible stories for this week, Dear Readers. Please check back next week for the further adventures of all the people in the bible. Today Gregory learned about how God created Adam and Eve. 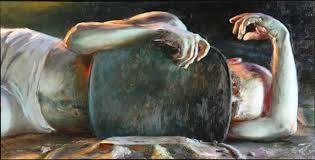 When Adam lived alone in the garden of Eden, the Lord noticed that Adam wasn’t doing so well. First of all, the garden was a mess. There were banana peels and watermelon rinds and half-eaten figs piled everywhere. Even though it was Adam’s job to be the guardian of the garden, he kept forgetting to water the plants and the last time he had actually mowed the lawn was never. Most of the time all Adam wanted to do was sit in a big pile of leaves and stare straight ahead imagining how much better his life would be if God would create two teams of men who dressed up in cool outfits and tackled each other. 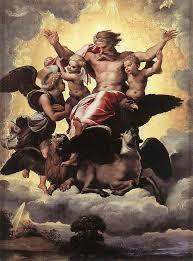 But when God took some soil and started forming animals and birds, Adam’s smile quickly faded. God: What’s the matter Adam? Don’t you like the animals I’m creating? Lookee this one! It’s got fur, a bill and webbed feet! Isn’t it hilarious? Adam: Meh . . .
God: Ah come on, Sport! Cheer up! I’m going to let you name them all. Adam: But I don’t want to name all those stupid animals you’re creating. That’s just another chore. I never have any fun. God: Uh oh . . . I know a man who got up on the wrong side of the ground this morning. Adam: Stop making that joke, Dad, it’s not funny. God: Okay, but try taking another look at this animal with the bill and the fur and the webbed feet and just try to keep a straight face! God: . . . and so this last one you want to call a Walrus? How do you want to spell that? With two r’s? Adam: You know what, Dad? I hate to break it to you, but not one of the birds or animals you created is a suitable companion for me. God: What? Not even the goldfish with their bubbly little smiles? Adam: They can’t talk, they can’t cook, and they wouldn’t know a decorative pillow if their life depended on it. God: Oh I see what you’re getting at. Here swallow this. About an hour later Adam opened his eyes and Eve was standing before him. God: Welp. What do ya think? Adam: At last here is one of my own kind. Bone taken from my bone and flesh from my flesh. Woman is her name because she is taken out of man. Thanks Dad. Adam: Before you go, how would you feel about creating two teams of men in really cool outfits, an oblong ball made out of pigskin — because I know you just created those pigs– I was thinking maybe it would be fun to watch them try to keep the ball from each other and whatnot. God: But while you’re watching them do that what will Eve be doing? Adam: Oh I don’t know. She could be walking in the garden, making new friends, sampling fruit . . .
God: That sounds harmless enough. I’ll do it! And there you have it Dear Readers, what Gregory learned in Sunday School. Please check back next week to find out what he will learn next. Welcome, Dear Readers, to this Sunday’s edition of Gregory’s Bible Stories. Every Sunday Gregory attends Sunday school and every Sunday he comes home and retells what he learned. Let’s listen in, shall we? Spy: Yeah, well that’s how big we are compared to the people we are supposed to slaughter. Spy: It means they are going to whoop our donkeys! Seconds later, the Lord showed up on his pillar cloud and told Moses that because the unwashed masses didn’t want to go into battle, the Lord was going to kill each and every one of them including their children and grandchildren — then scatter their corpses across the wilderness, so Moses thought it might be a good time to stage a drunk with power intervention for God. 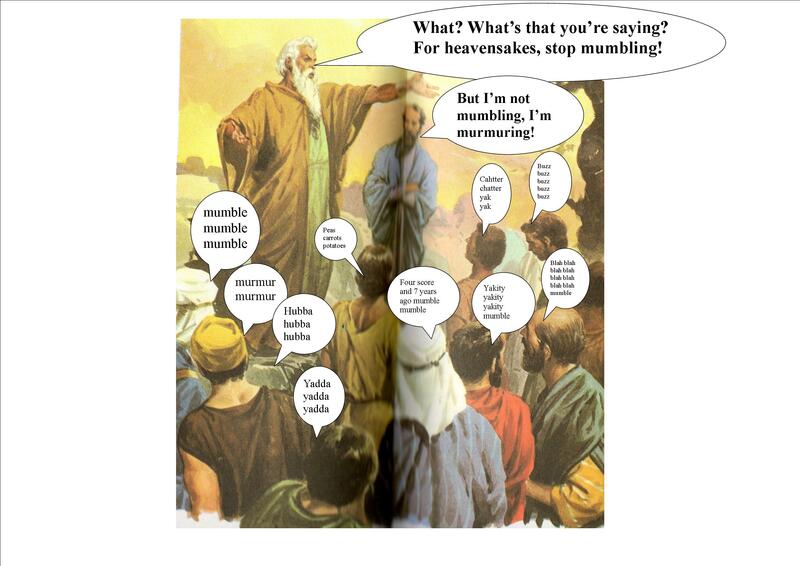 Moses pointed out to the Lord, that if the Lord killed everybody, He would besmirch His reputation as a Huggable Teddy Bear Stuffed with Loving Kindness who traveled around the land in His Cloud Pillar answering prayers and whatnot. But the Lord was unmoved by Moses’ intervention and sent everyone scurrying to go to battle with the giants of Canaan. Naturally every Israelite that went to battle the giants was stepped on and squished in the first three minutes and the ones that weren’t got a good dousing of raid Raid Ant and Israelite Spray. Every week Gregory attends Sunday School. Every week Gregory comes home and retells what he learned about. This week Gregory learned about the profit Elijah and his devoted follower, Elisha. Let’s listen in, shall we? Back in biblical days before the days of the week had names, everybody just said “and it came to pass” to refer to any day other than today. On this particular “and so it came to pass” there were two biblical prophets named Elijah (Eli) and Elisha (Fred) who were touring the holy land. Eli was a prophet and a traveling miracle performer and Fred was his devoted fan, following Eli around everywhere he went like a little puppy dog. Eli: Hey listen. Fred, it’s been great and all, but I just got word that the Lord is sending a whirlwind for me any minute now to take me up to heaven. So I’ll see ya around. Fred: Yeah but where are you going now? Fred: Oh I love the Jordon River! I’ll come too! Eli: There’s not enough room in the cart, sorry man. Fred: But I see plenty of room in the cart! Eli: Yeah, but I like to stretch out and whatnot . . . .
Fred: Oh right! Gotcha! I’ll just run along behind. Fred: What? You’re going to do some water parting? Oh I love that! I’ll come too! Eli sighed and rolled his eyes, and while he was parting the river, he looked over at Fred who was dusting out Eli’s cart and fluffing Eli’s cart-pillow, and he felt a pang of guilt. Eli: Hey listen Fred. I’d like to give you a lovely parting gift before the Lord’s whirlwind comes to get me. So what would you like? Fred: For moi! Really? Oh gosh. I need so many things. Some new sandals maybe? Eli: Great new sandals it is! Fred: But then again I could use a new cloak. This one’s got fig juice stains all over it. Fred: No wait! I know! I’ll take a portion of your power that will make me your successor! Just then the Lord’s Whirlwind pulled up and Eli got in and told the driver, “Heaven and make it snappy!” And that was the last time Fred ever saw Eli again. Then Fred spied Eli’s magic cloak laying on the ground and put it on. Seconds later, the Jordon River parted, and Fred walked across and found 50 men there who immediately began bowing at his feet and telling him they would go find Eli for him if he wanted them to. Fred sat down and chugged big goblet of fig juice, while the men ran off to the mountains and valleys to look for Eli and came back and reported to Fred that that Eli was nowhere to be found. But Fred wasn’t listening anyway, because he was too busy marveling at how the fig juice he spilled all over Eli’s “all in one miracle cloak” hadn’t left a stain . . .
And there you have it, Dear Readers, Gregory learned in Sunday school. 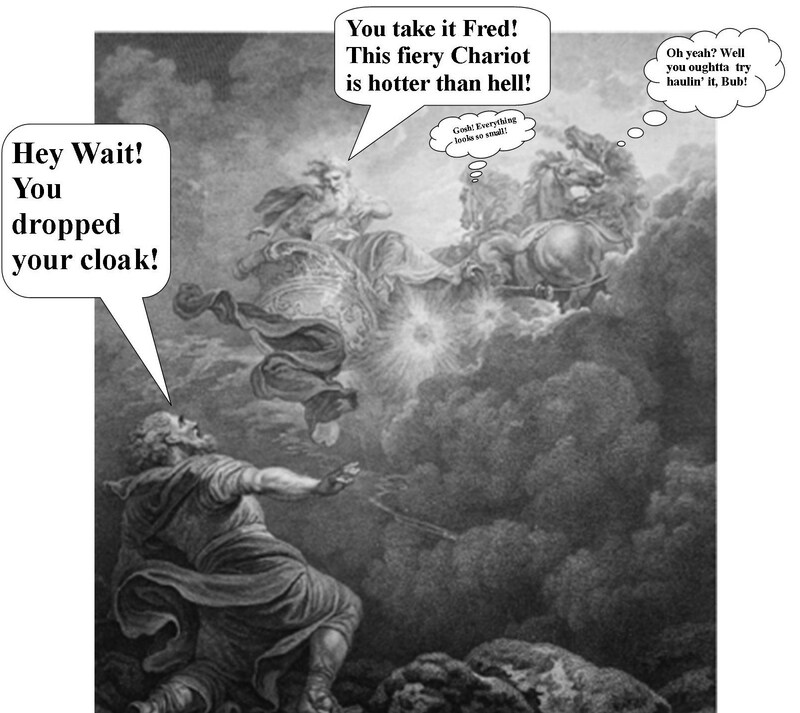 Please check back next Sunday to find out what happens to Fred and his cloak. Gregory goes to Sunday School Every week, then comes home and retells his own version of the lesson. One day, while Jesus was walking along the beach and soaking up some rays at the Sea of Galilee, He saw two brothers who were fishermen. One was named Simon who everybody called Peter and one was named Andrew who everybody called Andy. The fishermen were casting their fishing nets into the sea to catch some fish to take home to eat for breakfast, lunch, dinner and a bedtime snack when Jesus climbed into Simon’s boat. 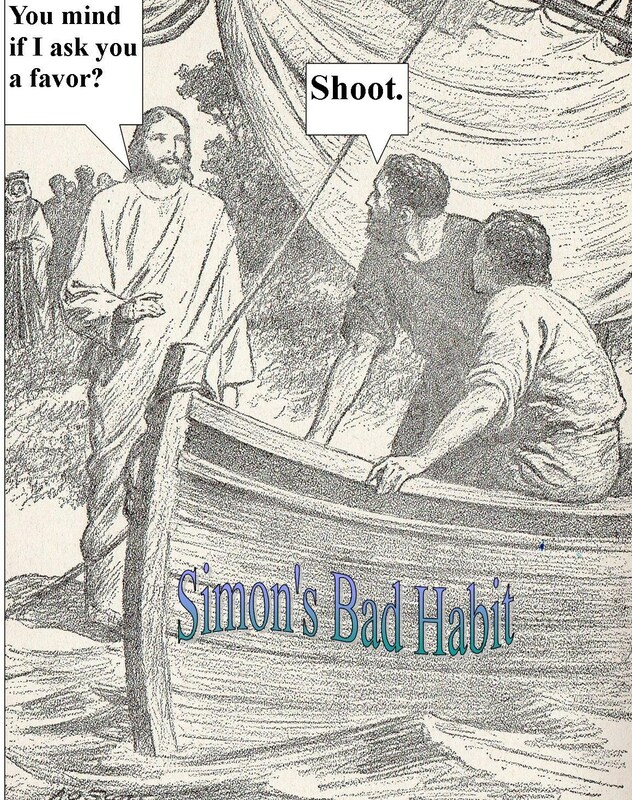 At least Jesus assumed it was Simon’s boat since it said Simon’s Bad Habit on the side in Hebrew. Jesus explained that He would like to teach the people standing on the shore from the venue of Simon’s fishing boat. Jesus: Hi Simon! I’m Jesus. Would you mind if I lecture the people who have gathered on the shore from you fishing boat. Simon: Not at all! But it’s kind of messy, and I don’t have a podium or anything. Jesus: Not a problem. It’s really more of an informal talk than a lecture anyway, Simon. 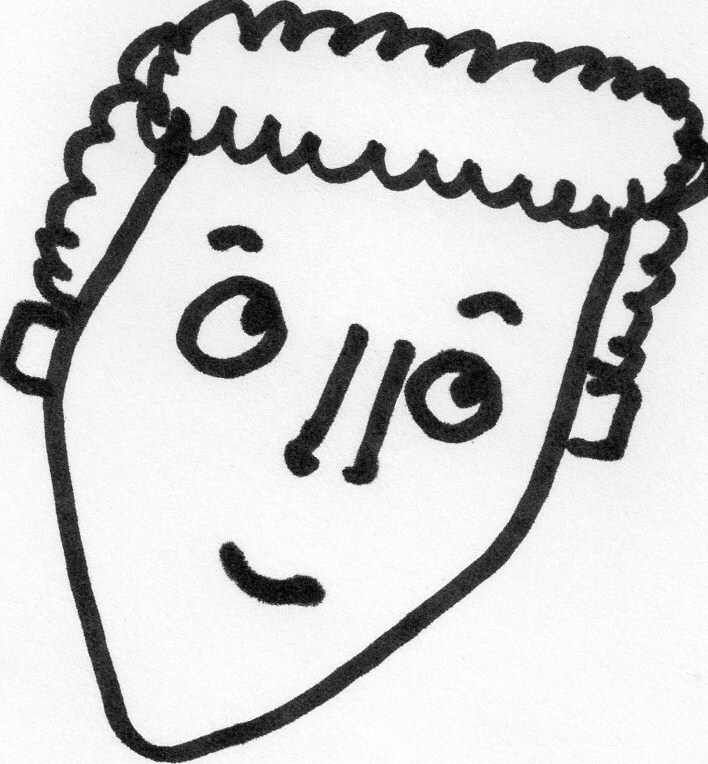 Simon: Sure, Jesus, I’d be happy to do that, but it’s Peter. Simon: No I mean, I’m Peter. 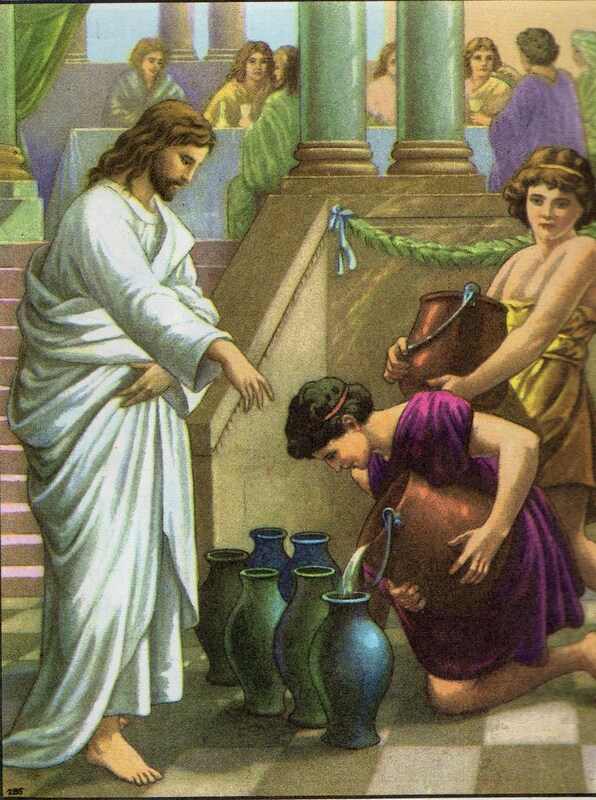 Jesus: But you just said you were Peter. Simon: I am Peter. My name’s Simon but everybody calls me Peter. Simon: I don’t know. I was hoping maybe you’d know, Jesus. Jesus: I have no idea, Simon. After that Peter and his brother, Andy, let down their nets and caught such a large number of fish, their nets were about to break. So they motioned to the fishermen in the next boat to row over and help. All the fishermen started piling the fish into their boats until their boats were so full, they were about to sink. Jesus: Don’t be afraid. From now on you will be catching men. Then they pulled their boats up on the beach and left them and all the fish and followed Jesus. Which was fine with the fisherman since they were all thoroughly sick of fish anyway. And there you have it, Dear Readers, what Gregory learned in Sunday School today. Please come back next week for another edition Gregory’s Bible Stories.